The Emerald Ash Borer (EAB) has infected the ash trees across the country for years. But, what is the EAB? What are symptoms of their intrusion? Where are they located? What do they look like and how are they spreading? Let’s dive into these questions in detail and address the questions as thorough as we can with the help from government, educational, and other valid sources. The Emerald Ash Borer (EAB) is a wood-boring beetle that is native to Asia, but was first spotted in Michigan in 2002. 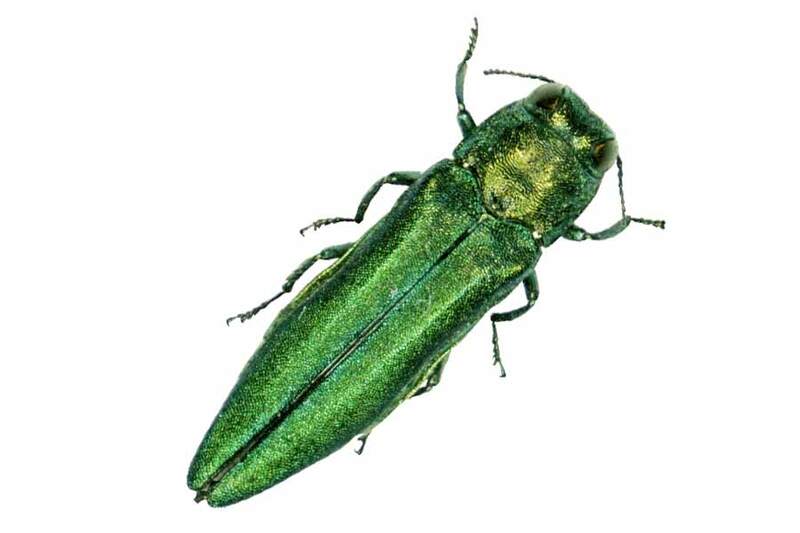 The USDA Forest Service Northeastern Area states the Emerald Ash Borer (EAB) was probably introduced at least 10 years prior to 2002 in wood crating, pallets or similar packing material that was shipped into Michigan from Asia. Over the last 12 months, Google trends shows us that queries for “emerald ash borer” are most popular in late May/early June. While the EAB may be a new term to you, but over the last 5 years, Google trends shows the pattern of queries for “emerald ash borer” in May/June. Over the last 12 months, South Dakota searched for the “emerald ash borer” the most out of all 50 states, followed by Vermont, Nebraska, Iowa, and Wisconsin. Sometimes the initial damage and symptoms are difficult to detect. According to the USDA Forest Service, new infestations are difficult to detect, as damage to the tree may not be apparent for up to three years; symptoms of an infestation can include branch dieback in the upper crown excessive epicormic branching on the tree trunk, and vertical bark splits. Woodpecker damage is sometimes apparent. The most detrimental stage of the EAB to the well-being of the ash tree is the larval stage. 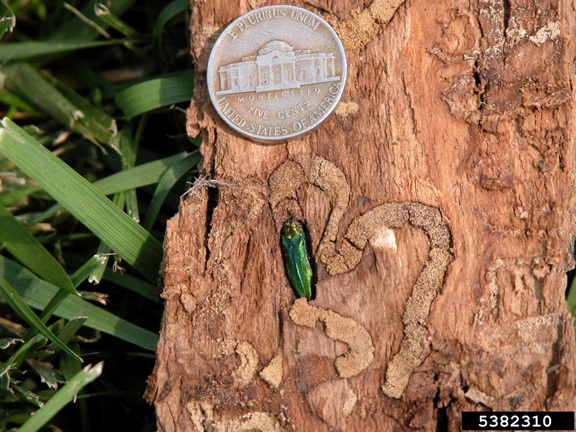 Vanderbilt arboretum says, Larvae of the EAB feed on the inner bark of the ash tree, and cause a disruption of the tree’s ability to efficiently transport water and nutrients. 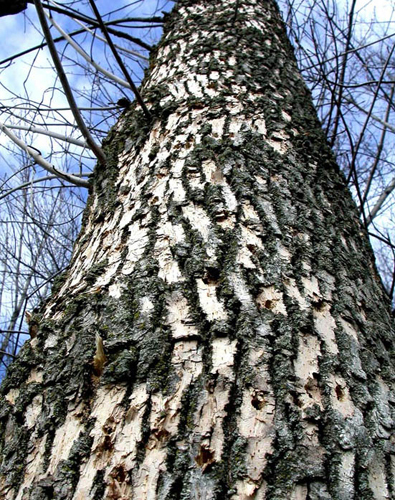 Colorado’s government states that ash species already devastated by the EAB invasion are: white ash (F. americana), green ash (F. pennsylvanica), black ash (F. nigra), blue ash (F. quadrangulata), pumpkin ash (F. profunda), and Carolina ash (F. caroliniana). Vanderbilt claims the EAB has been found in over twenty states, and is spreading across the nation quickly with little to nothing standing in its way. Areas that have been affected the most include the Great Lakes, the Mideast, and now the Southeast. You can view a more up to date detection map by year by going here === EAB detection map. Each month, the USDA APHIS produces an updated EAB Detection Map. You can view the most current map by going here ===>> eab detection map. U of A states the adult emerald ash borer can move short distances (up to 1 mile) by flight, but people move emerald ash borer long distances by moving firewood. EAB moves short distances by flying and longer distances by hitching a ride in infested ash trees or ash wood products that are moved by people. Adults don’t fly far from where they emerge, depending on the availability of food (ash trees). EAB is most commonly spread long distances by people moving infested firewood, nursery stock, or ash logs. Karen Bennett, a Forestry State Specialist, confirms what the U of A claims by writing, EAB quickly spreads when people move nursery stock and untreated wood products, especially firewood. It can move on its own, but only two miles or so per year. These new infestations are likely the result of natural spreading, due to the proximity to previously known infestations. 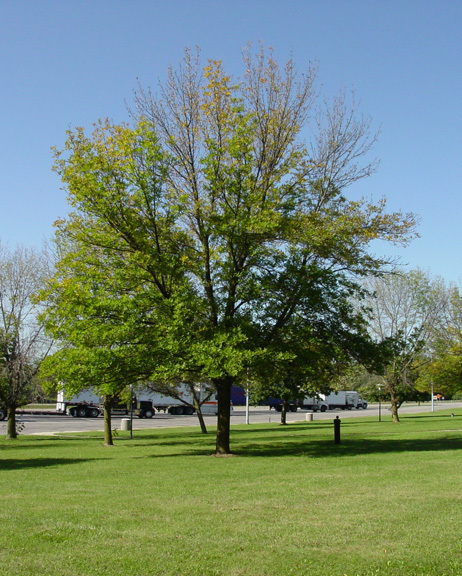 There are several different recommendations to treating a tree that has been affected by the EAB. The treatment will depend on the stage of the eab development, location of the eab, age and health of the tree, and other factors. The first type of insecticide treatment targets the adults. Insecticides that serve as a protective cover sprays are applied to the trunk, main branches, and (depending on the label) foliage and kill the adults as they feed on the ash leaves. These treatments are best timed during the peak period of adult activity which is usually just after the adults emerge in the Spring. Permethrin, bifenthrin, cyfluthrin, and carbaryl are all preventive trunk, branch, and foliage cover sprays. 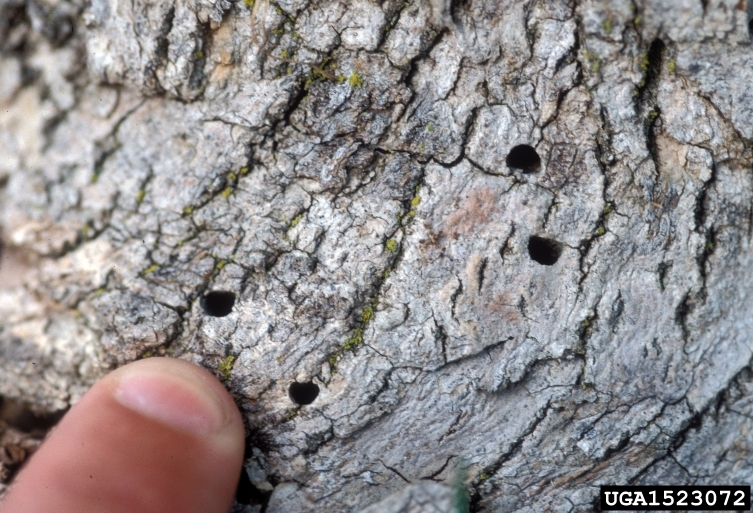 Early stage larvae that tunnel under the bark can be killed with insecticides that move systemically in the tree. These treatments work best when timed to be present when the young larvae are present and before there has been extensive injury. One treatment available for use by homeowners is a soil application of imidacloprid (such as Bayer Advanced 12-Month Tree and Shrub Insect Control*). The application should be made in May and is most effective on small trees, generally less than 15 inches in trunk diameter. Tree care professionals are able to use additional products such as trunk injections and trunk and foliage sprays. Contact a certified arborist for these treatments. We recommend Seth at Trees PLE, Inc. for treatments in Indiana. You can contact him at treenerdseth@gmail.com or 812-361-7124. 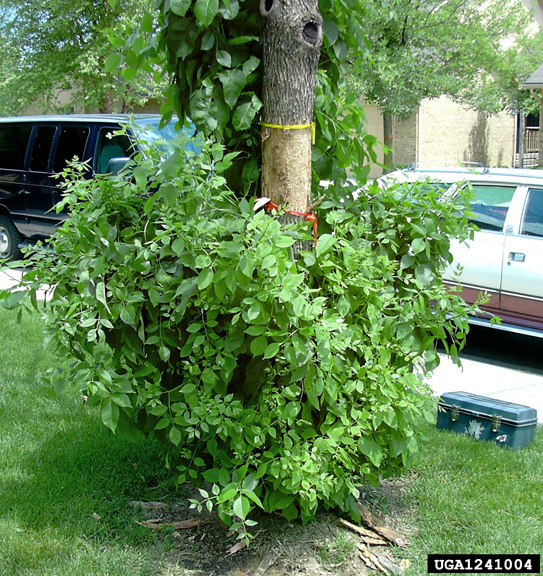 Trunk injection treatments are commonly used to protect trees from emerald ash borer (EAB). Treatments are not a one-time occurrence. They do not immunize the tree for life. Ash trees to be saved will likely need to be treated every one to twoyears, depending on the type of treatment. 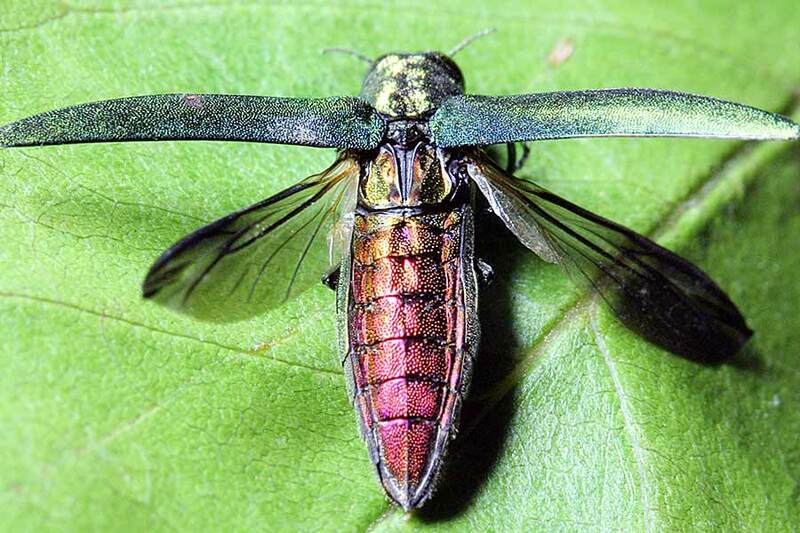 Less frequent treatments may be possible after most of the ash trees in an area have been killed and the EAB population has decreased, but this serious pest will always be with us, and valuable ash trees will always need periodic protection. After pupating within the ash host, EAB adults emerge in the Spring. 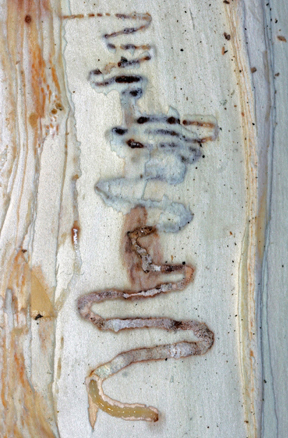 Image: James Zablotny Ph.D.
An example of the S-shaped patterns, called galleries, that EAB larvae create as they feed under the bark of ash trees. This piece of bark has its outer layer removed so the galleries are visible, but usually the outer bark hides this sign of EAB infestation. During their larval stage, EAB feed under the bark of ash trees. This activity damages, and eventually kills, the trees.